Plasma physics, atomic physics, plasma spectroscopy, non-equilibrium plasmas, high-energy-density physics, plasmas under pulsed magnetic fields, generation of ion and electron beams, plasma implosions and stagnations, laser-matter interaction, warm dense matter, implications to fusion and space physics. Diagnostic methods based on fast, high-resolution plasma spectroscopy of spontaneous emission in the visible, U.V., vacuum UV, and x-ray regions, as well as on spectroscopy of laser absorption and laser stimulated emission. 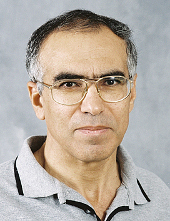 Citation: "For contributions to spectroscopic techniques for diagnosing high-current, high-voltage electric and magnetic properties." Citation: "For pioneering the employment of novel spectroscopic methods to diagnose the field and plasma properties in pulsed-power systems, including the development of the atomic-physics modeling required for the data analysis."